Professor Danielle Mazza MD, MBBS, FRACGP, DRANZCOG, Grad Dip Women’s Health, GAICD holds the Chair of General Practice at Monash University where she is also the Head of Department. Her expertise is in knowledge translation and in the development and trial of complex interventions in general practice and primary care settings. She undertakes research focused on closing evidence practice gaps and improving the quality of care through guideline development and implementation. With a focus on the GPs role in compensable injury and rehabilitation she is currently leading the development of national guidelines for general practitioners in the management of mental health injuries. She is also a Chief Investigator on the Centre of Research Excellence in Recovery Following Road Traffic Injuries (CRERTI). She has recently completed a large mixed methods study on the GP’s role in facilitating return to work for patients with compensable injuries (FIT to Work) and a national survey of GPs knowledge attitudes and practice in the management of road traffic crash injuries (GRIP). Samantha Chakraborty PhD, BBNSc (Hon) is a primary health care researcher with a focus on developing and implementing research that makes a difference. Samantha has a unique combination of skills comprising implementation science, research management, and quantitative and qualitative research in primary health care. She is currently overseeing the development of evidence-based and implementable clinical practice guidelines for the management of work-place related mental health conditions. Jacinta Dermentzis joined the Department of General Practice in 2016 as a Project Officer. She works on the ‘Work-Related Mental Health Guidelines for general practitioners’ project and is also part of the Department’s Media and Marketing committee. 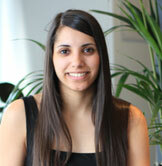 Jacinta has a strong research interest in mental health and public health. She graduated from La Trobe University with a Bachelor of Health Sciences (Honours), majoring in Public Health. As part of her Honour’s research, she focused on ‘young women’s perceptions of plain packaged tobacco products within a tertiary setting in Victoria’. Following University, Jacinta relocated to Canberra and undertook a Graduate Development Program at the Department of Health. Since returning to Melbourne, Jacinta has continued to work across various health projects, mostly in government. She came to us from the Royal Australian College of General Practitioners, where she was responsible for coordinating a focused psychological strategies skills training pilot for general practitioners alongside her team. Jacinta is a proponent of better health outcomes for all. Dr Lyle Turner joined the Department of General Practice as a biostatistician in February 2013. He works closely with Prof. Danielle Mazza and Dr Maria de Leon-Santiago on the MAGNET initiative and associated projects, and also supports staff within the department on statistical and data analysis issues. Lyle has published over 16 peer-reviewed articles and has presented at both national and international conferences. He has a diverse background that is grounded in quantitative research, applying his skills in projects related to health, engineering asset management and finance. In terms of health research, he has worked on projects around health services delivery (City University London), environmental epidemiology (QUT) and public health (QUT). He has a strong interest in the use and linkage of routinely collected datasets to inform health policy, and in the relationships between environmental exposure and health. Lyle looks forward to contributing to research within the department. 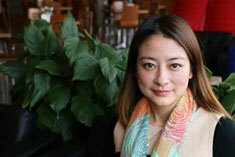 Dr Ting Xia is a Research Fellow in the Department of General Practice. She joined the department of General Practice in February 2015. Her research interests focus on GP management of chronic diseases, health impact assessment and data linkage of routinely collected general practice and hospital datasets. She is responsible for quantitative analysis for multiple projects in the department. Tshepo Rasekaba is a Research Fellow in the Department of General Practice. He is currently the evidence reviewer in the development of clinical practice guidelines for the management of work-place related mental health conditions. Tshepo has an interest in health services and clinical research that informs chronic disease management, particularly diabetes, across primary and tertiary care. He has undertaken work in Hospital Admission Risk Program evaluation including service utilisation and outcomes in type 2 diabetes, hospital intensive care unit mortality monitoring using the Critical Outcome Prediction Equation in Victorian public hospital ICUs. His PhD research explored a telemedicine intervention in the management of insulin treated gestational diabetes. That being said, Tshepo is a generalist researcher keen on applying his experience and research skills in evidence based clinical practice, healthcare program development, implementation and evaluation to impact service and patient outcomes.